Students were invited to attend the Geographical Association (GA) Annual Conference on Tuesday 9th April 2019 in Manchester. The annual GA conference was held over two days, 9th to 11th April, at University Place, University of Manchester. 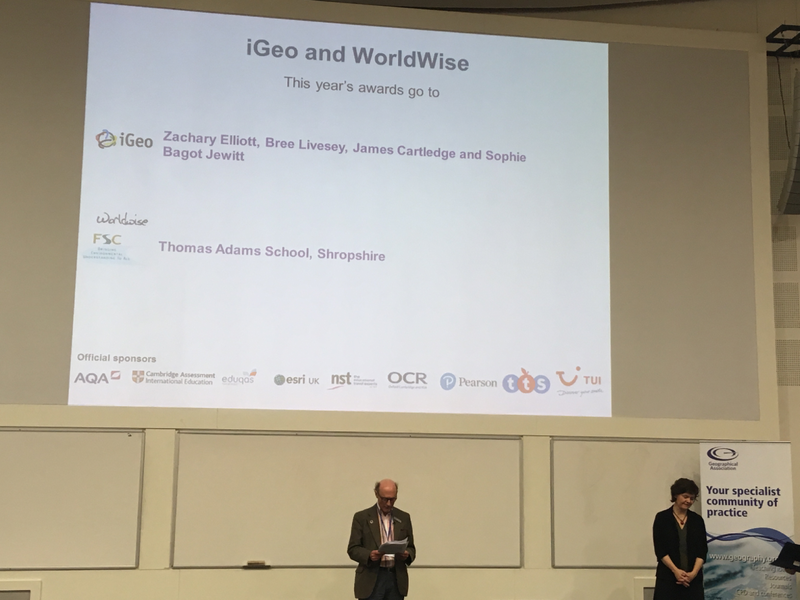 The conference opened with a public lecture and awards ceremony where achievements over the last twelve months are recognised within the Geography community. Thomas Adams were invited to attend to receive certificates having won the Worldwise Quiz in May 2018. This is a national competition which Thomas Adams also won in 2017. Before the awards presentation, students listened to Kate Raworth, Senior Research Associate from Oxford University. Kate gave an inspiring lecture on Doughnut Economics and how it can be put into practice by geographers to help people meet the challenges humanity faces in the 21st century. 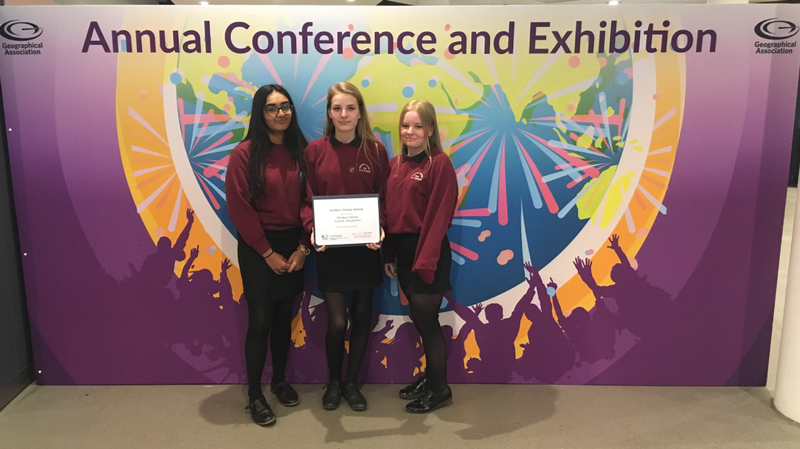 Pictured below (L-R) are Maya Tajuddin, Izzy Smith and Ella Syder-Mills from Year 11 collecting their certificates at the annual conference.